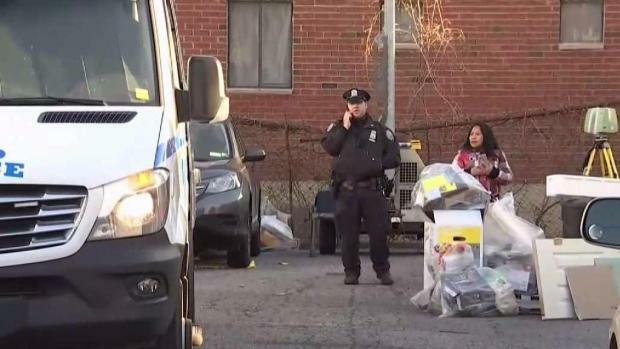 A knife-wielding man was shot dead by police in a standoff, and an NYPD officer was injured. Wale Aliyu reports. 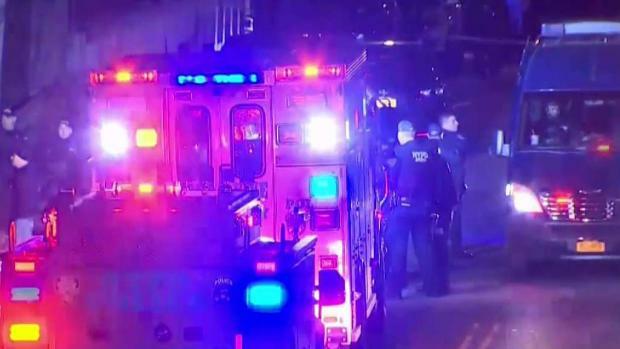 An NYPD officer was wounded and a blade-wielding suspect was killed Sunday night in a tense standoff that ended with gunfire on Staten Island, officials say. Gunfire erupted in Shore Acres just before 10 p.m. at 30 Bridge Court, a complex of two-story apartment buildings north of the Verrazzano-Narrows Bridge. "Tonight we are reminded, once again, of the dangers our officers face every day," NYPD Commissioner James P. O'Neill said during a news briefing early Monday. O'Neill said uniformed officers from the 120th Precinct responded to a domestic dispute call and encountered an intoxicated man at a side apartment. He said the man was carrying a long blade. A police officer was shot and wounded late Sunday on Staten Island, the NYPD says. Tracie Strahan reports. Chief Detective Dermot Shea said the blade had a 4-inch wooden handle and a 10-inch blade. O'Neill said according to both the officers' body cameras, the man was repeatedly ordered to drop the weapon. One officer then shocked the suspect with a stun gun but O'Neill said that "did not stop the threat." The man then tried to get past who Shea said he presumed was the man's wife, repeatedly yelling, "shoot me!" He said up to 10-12 shots were fired at the man, killing him. During the exchange of fire the officer, who has been on the force nearly three years, was struck. The unidentified officer is in serious condition but stable at Staten Island University Hospital and is expected to survive. A witness at the scene told News 4 that she heard "a lot" of shots fired. A police officer was wounded and a blade-wielding suspect was killed in a stand off that ended with gunfire, the NYPD says. Tracie Strahan reports. "Four, five, six," she said. "Not just one." 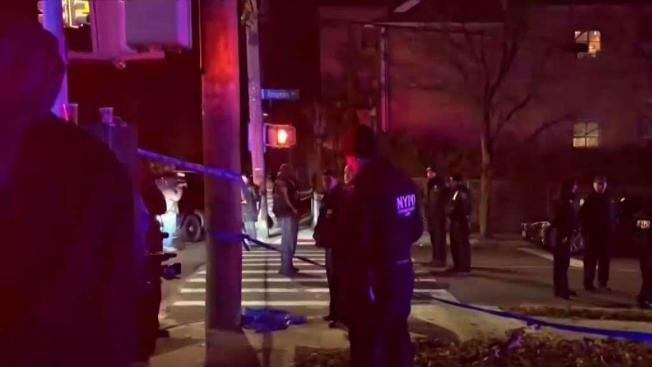 The shooting comes just a day after an FBI agent was shot in Brooklyn. A spokesman for Mayor de Blasio says on Twitter he has been briefed and will likely visit the officer on Monday.